Chocolate Chip Cookies with Pudding are a tasty dessert to fix. Once you get a hold of one, they are hard to put down. The instant pudding cookies are a fabulous treat. I love a good ole’ chocolate chip cookie, but adding instant vanilla pudding gives the cookie a rich flavor. 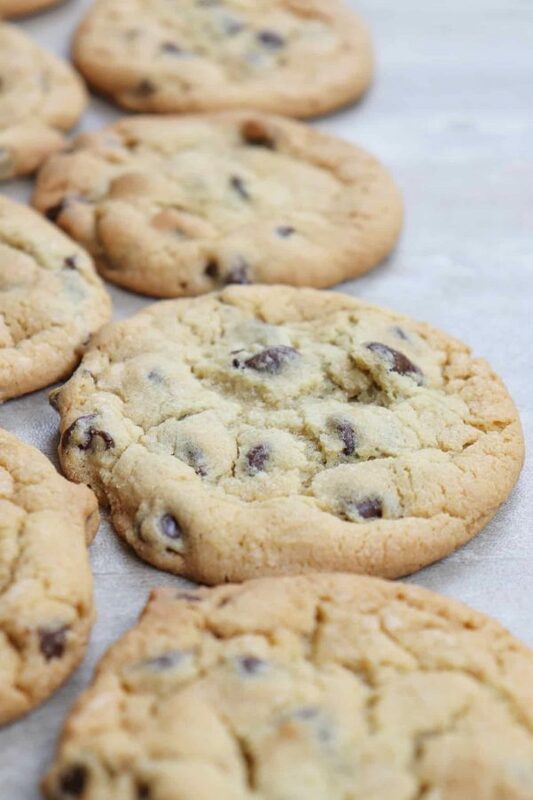 Chocolate chip cookies are really the go-to cookie for a lot of people. My kids are always asking for them, and I’m pretty sure none of the neighborhood kids would turn one down, especially these chocolate chip cookies with pudding. 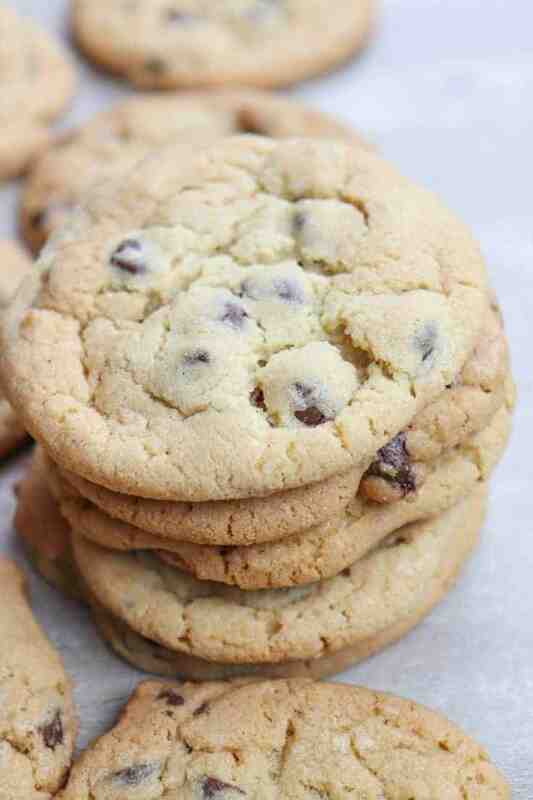 When I think of desserts in my childhood, chocolate chip cookies stand out. 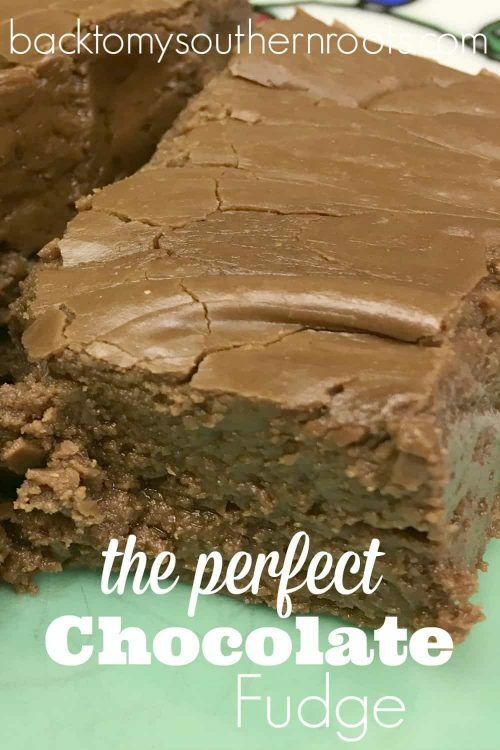 They’re easy to make, are perfect coming right out of the oven, and taste great with a side of milk. 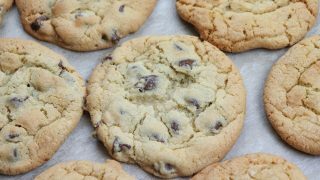 The chocolate chip cookies top the category of comfort foods. 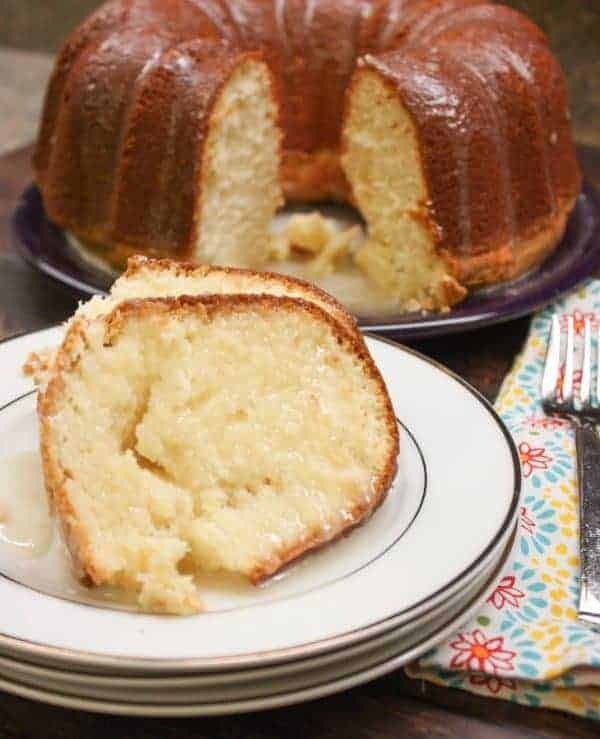 But, I always love adding a little twist, and instant vanilla pudding is a subtle addition that makes the cookie a little creamier. Add the eggs and vanilla and stir. Pour the instant vanilla pudding into the mixture and stir together. Scoop onto a baking sheet and bake for 13-15 minutes. 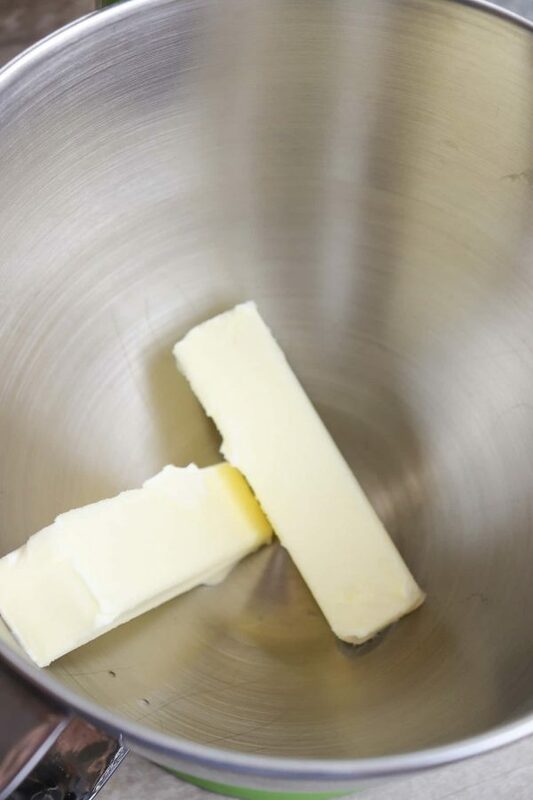 Add the softened butter to a bowl. Add the brown sugar and cream together. Add the eggs and vanilla to the mix. 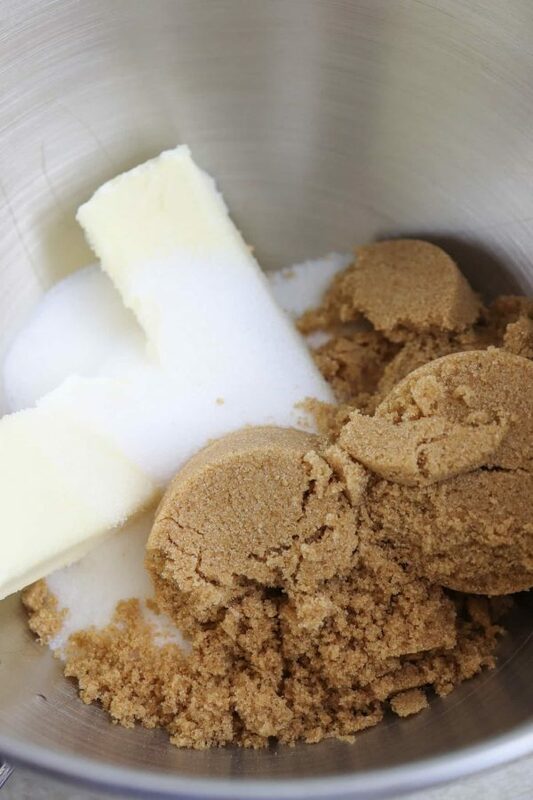 Anytime you add sugar, brown sugar, eggs, and vanilla to a bowl, you know things are going to get delish from here on out. The ingredients are always a good base to comfort foods. Add the vanilla pudding powder. 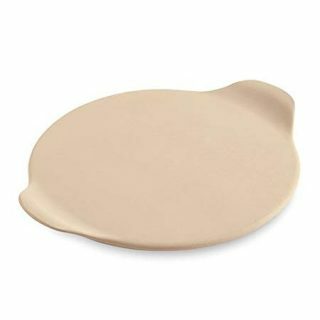 The pudding adds a creamy rich flavor to the dough. 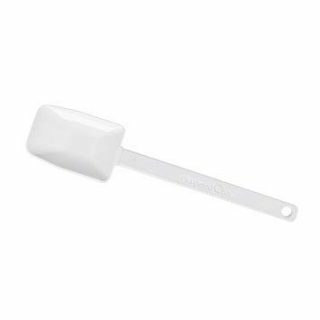 It’s not overpowering, but delicate enough that you can gently taste the light vanilla flavor. Mix the pudding into the dough. 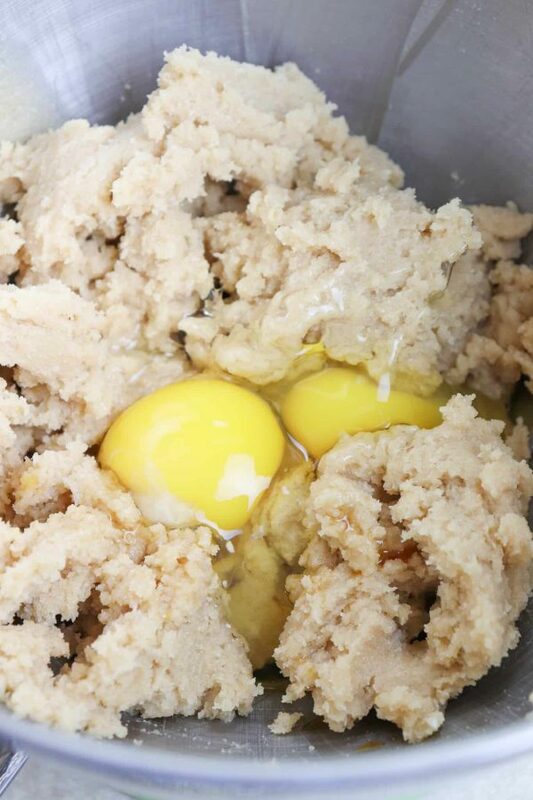 You will start to notice that the dough will thicken pretty quickly after you add the pudding. It will be thick dough, but they will be nice and chewy. 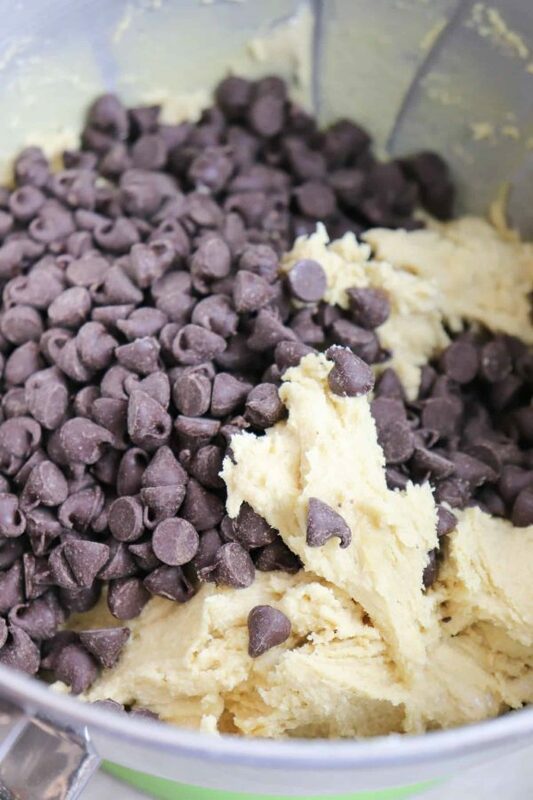 Add the chocolate chips and fold them into the mixture. 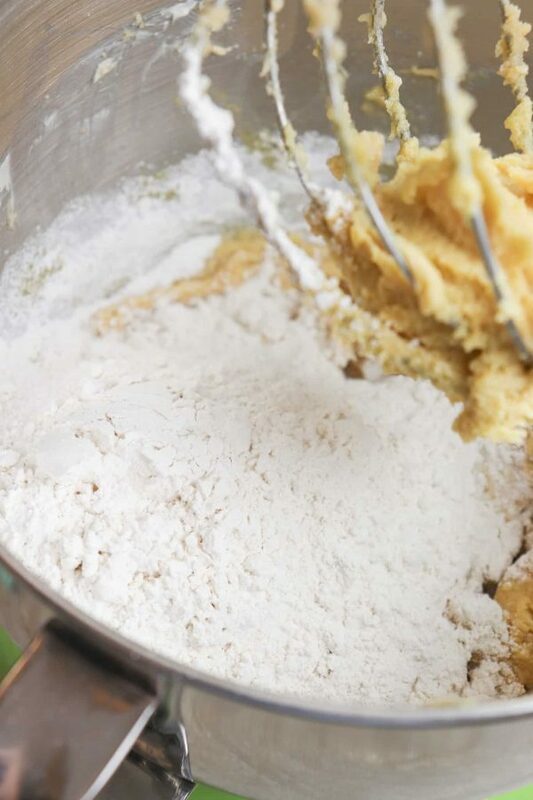 You’ll notice at this point that the batter is pretty thick. I personally like when they thicken up like this, they are easy to scoop onto the cookie sheet. 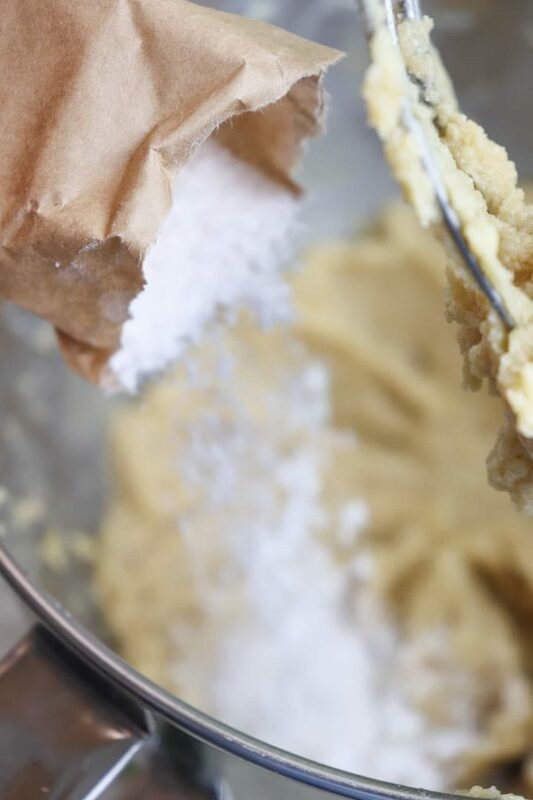 Scoop the cookies onto the baking sheet, about two inches apart, and bake for approximately 13-15 minutes. The instant pudding keeps the cookies from spreading too much. 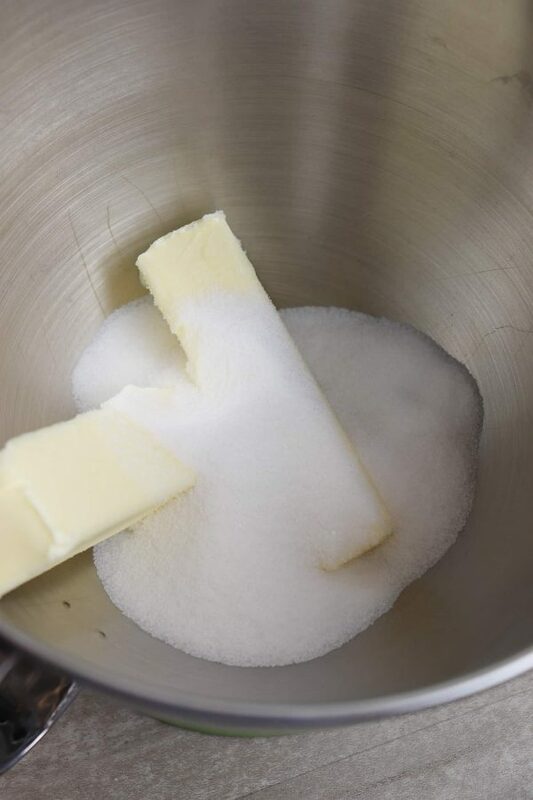 Add the softened butter, white and brown sugars to a bowl and cream. Add the instant pudding mix and mix together. 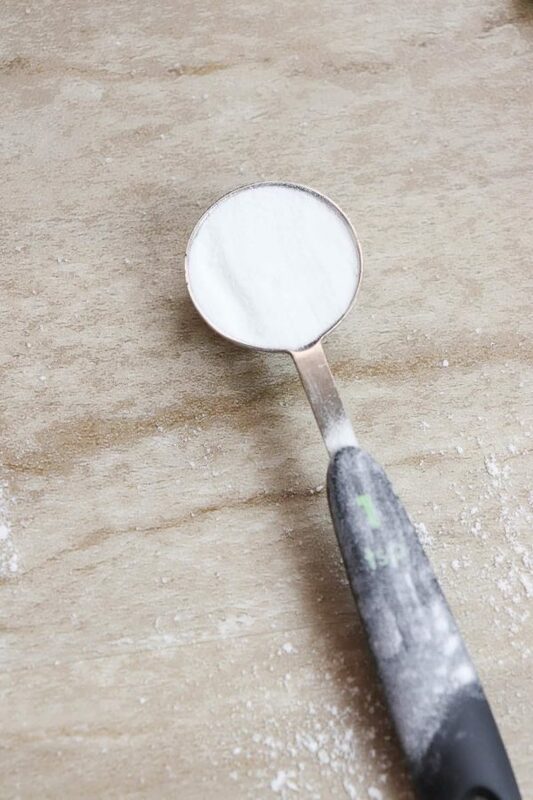 Add the flour, baking soda, and salt and mix. Add the chocolate chips and fold into the batter. 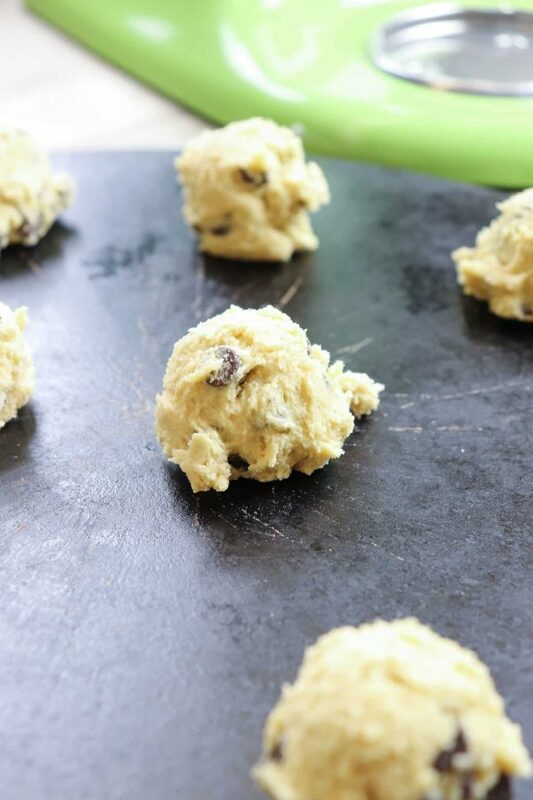 Scoop onto a greased cookie sheet and bake for approximately 13-15 minutes. Mmmml I love pudding cookies and how soft they stay!! Plus chocolate chip cookies are always a win!! These awesome cookies need to be in my cookie jar! Hope you are having a great week and thanks so much for sharing with us at Full Plate Thursday. Hi Miz Helen! Thank you, you’re always so sweet! !